All of us have our own set notions when it comes to weight loss. The one basic ground rule that should be kept in mind is that when one is aiming for a sustained weight loss, changes in dietary pattern alongwith an exercise regime is of utmost importance. Here we list, for everyone looking for weight loss, basic pitfalls to avoid and some habits to embrace. These would act as a guideline and go a long way in helping lead a healthier lifestyle and make correct food choices. Avoid refined sugars in beverages like tea, coffee, fresh lime. This is a sure shot way to cut out empty calories. DO NOT use artificial sweeteners as a substitute. They are loaded with chemicals that do more harm to the body than you might realise. Stay away from packaged fizzy drinks, juices, shakes, flavouring drinks, concentrates of all kinds. The benefits of consuming them are far lower than the junk calories, chemicals like artificial flavours, preservatives and masked sugars that get loaded onto our body. Instead have the time tested, homemade nimbu paani, aam panna, lassi or kokum sherbet. Avoid packaged salad dressings and dips. Other than being loaded with preservatives, stabilizers, they have a very high sodium and sugar content, which leads to water retention and bloating of the body. They give you a false sense of eating healthy. Try homemade hung curd and vinegar based dressings instead to jazz up your salads. Ditch all forms of packaged snacks and biscuits that we are so used to having with our tea or otherwise. Even sugar free biscuits do not mean ‘No Sugar’ but contain sugars in the form of artificial sweeteners like aspartame, sorbitol! Cut out unhealthy treats such as confectionary, fried foods and crisps between meals. Make better choices like makhana, roasted jowar, bajra, wheat or sprouts of kaala chana,moong daal, etc. People with a sweet tooth can have dates, jaggery. Switch to unprocessed oils and sources of fats that our ancestors used. Seed oils like Kacchi ghani mustard oil (sarson ka tail), groundnut oil, til oil are better than the widely marketed refined oils like vegetable, canola, rice bran etc. Good options for saturated fats are malai, white butter, desi ghee and coconut oil. Go back to our roots and include millets and their flours in daily diet. Include more of whole grains through multigrain chapatti and brown rice. Options for different grains are barley, kaala chana, buckwheat, ragi and soya. This would help to bring in a range of nutrients into our diet. Always try to have whole fruits and foods like an orange or carrots. These should be consumed in their raw and original form rather than the processed versions like juices. A glass of orange juice contains concentrated amounts of that sugar without the essential fiber, minerals and antioxidants. Opt for good sources of protein like beans, sprouts, chicken, eggs, milk from grass fed cow and fermented dairy products like yoghurt. Include good sources of fats in diet as they act as fat burners and help curb the unwanted hunger. 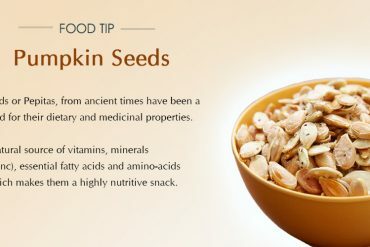 These could be in the form of nuts (almonds, walnuts), egg yolk and seeds (flax, pumpkin). Cut down on alcohol intake. Choose healthy beverages instead like coconut water, fresh lime, fresh fruit mocktails, infused waters and herbal teas. Remember that the ratio of carbohydrates, protein and fats in anyone’s diet, depends on their body type, lifestyle and the level of physical activity in a day. This however does not mean that we keep calculating our carbohydrate, fats and protein intake. I would not recommend following either a low carbohydrate, low fat or a high protein diet as it disturbs the balance and the metabolism of the body. It is neither natural nor healthy for our body. It is important to understand that the right combination of all of them together only can help us achieve a healthy body and thus the right body weight.